Australia Fair has on-site car parking for 2,500 vehicles. 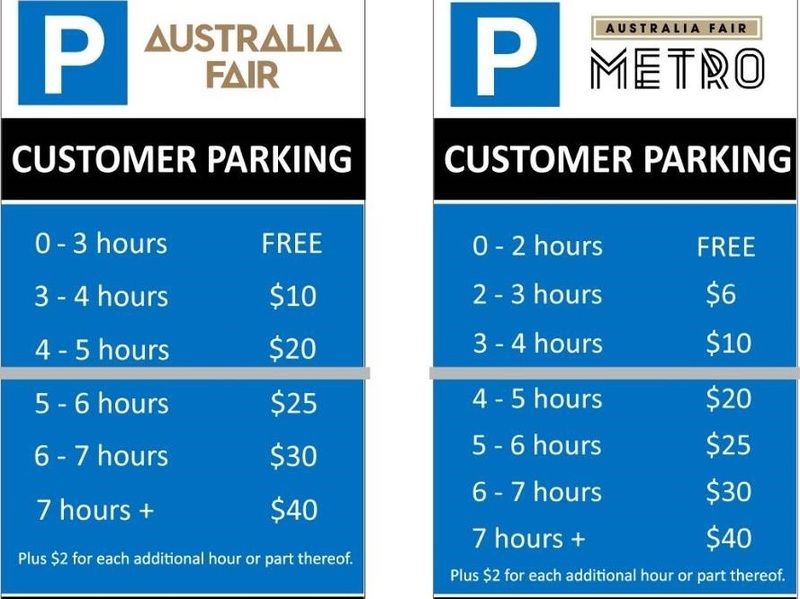 Australia Fair offers up to 3 hours free parking with our ticketed parking system. After the first 3 hours fees apply. Australia Fair Metro (Young St & Garden St) offers up to 2 hours free parking. After 2 hours fees apply.